This is a difficult game to review. In a short period of time, The Pokémon Company and Niantic have created a legitimate cultural phenomenon. Everyone wants to get in on the Pokémon Go action. Everywhere I go, I see people playing the game. I see lone people on the hunt. I've met whole families out on Pokémon Go walks together. I've seen fathers, daughters, mothers, and sons in various combinations. I've seen couples or groups of friends, all of various ages. Businesses want to get in on the Pokémon Go action, monuments and museums have commented on it, law enforcement has had its own take, and both Presidential candidates have referenced the game. Everyone is playing it. From a design perspective, while Pokémon Go is rather slight on mechanics - outside of the catching mini-game and Gym battles, there's not much there - it does get people out. People are supposed to walk around and catch Pokémon. They're supposed to share in the experience, showing off their Pokedex and pointing out where they've caught new Pokémon. They're supposed to work together to take down or hold gyms. It's a game meant to be played en masse by a casual userbase out in the world. From that viewpoint, it works. It has issues though. 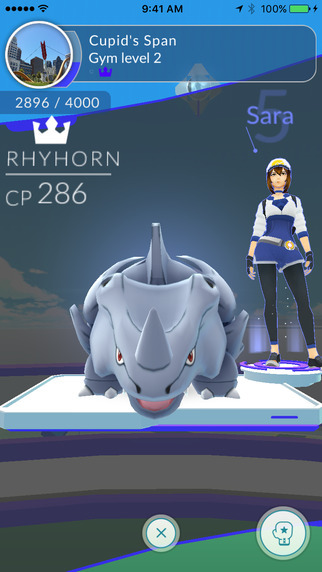 The UI needs work and the game is almost completely lacking in any explanation of its mechanics: I've had to explain how Gyms work multiple times. The app doesn't play well with multi-tasking. I tend to want to play it out on walks, but the audio of Pokémon Go actively clashes with my Spotify or podcast app. Switching to answer a message on Twitter, Facebook, or Hangouts will frequently cause the app to reload completely. Even the basic gameplay barely works at times. 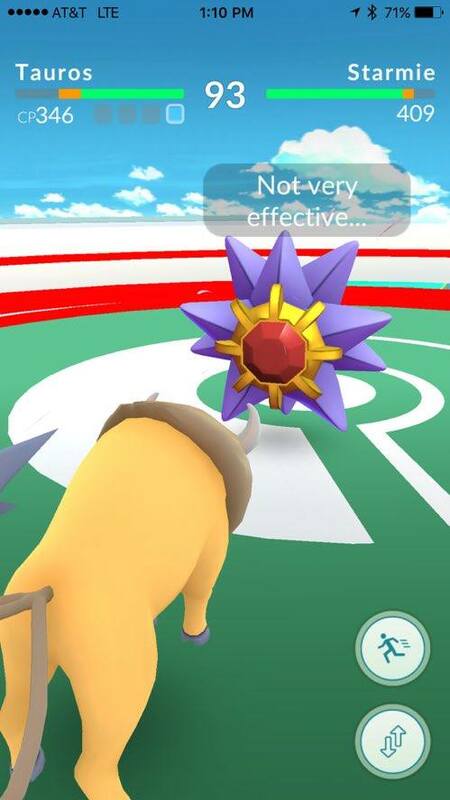 Everyone I know has multiple stories of rare and interesting Pokémon that they've lost due to disconnections and freezes. During a walk, I have to reset the app multiple times. 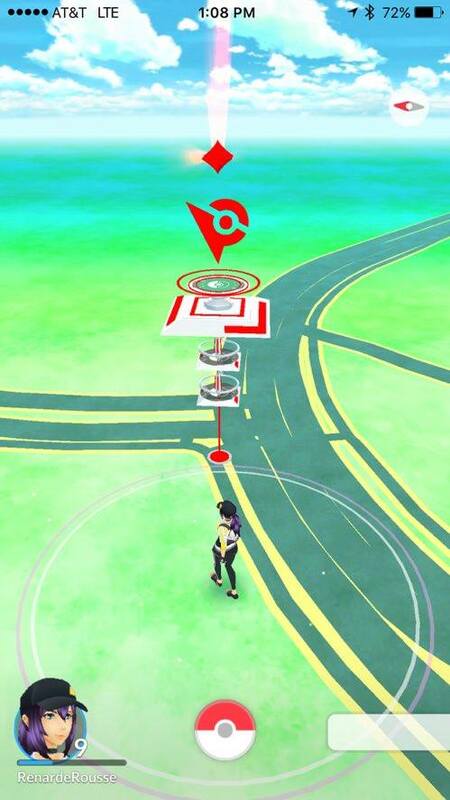 Even if my Fitbit app or Google Maps can find my GPS signal, Pokémon Go struggles at times. Pokémon are frequently on the somewhat obtuse Nearby menu, only to disappear completely after a freeze. (Hell, as of this writing, there's a bug where Nearby is showing every Pokémon at max distance.) Sometimes, throwing a Pokeball gets weird and everything is a curveball in a certain direction, regardless of where you swipe. If you're not near a city, the opportunities to play are slight at best. Even being generous, Pokémon Go is a shoddy app in its current state. And Niantic's own Ingress has far deeper gameplay. But none of that matters, because Pokémon Go isn't about the app. It's not about the success of augmented reality. It's not about the bugs, issues, or slight gameplay. It's about Pokémon. It's about 20 years of gaming and pocket monsters. It's about all those people who played the original generation on Game Boy, are hyped for the upcoming Pokémon Sun and Moon on Nintendo 3DS, and everything in-between. The game works because there are people who can look at a silhouette and still name that Pokémon. Because there are people who watched Ash/Satoshi in the animated show, who read the manga, who bought the shirts, dolls, and posters. It works because people still love Pikachu, Eevee, Meowth, Team Rocket, and everything that the name 'Pokémon' conjures up. There's very few brands - and this is ultimately about branding success - that could've stuck this landing. That can transcend a broken app and still be damned fun. Pokémon Go gets people up off of the couch and out into the world to meet with other people like them: people who just love Pokémon. It feels, in it's own odd way, like you're the Pokémon trainer you imagined yourself being when you first played the game. It's a game predicated on already loving Pokémon or knowing someone who does. There's that moment of connection when you see someone walking in your direction, phone out, staring intently or looking around the environment. Your eyes meet and there's a smile. Or a simple, "Pokémon Go." Or the question, "What team?" Or they'll point out where they caught a cool Pokémon. Or or or. Pokémon Go brings people together. Broken app or not, that's pretty damn cool. Last night I spent the evening walking around with my girlfriend and giggling as we caught Pokémon after Pokémon, going out of our way to hit just one more PokéStop even thought it was chilly and our phones were dying. 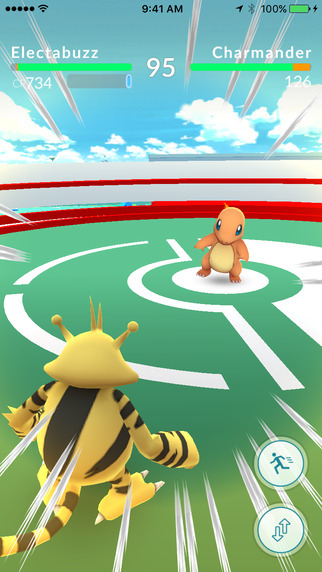 You can certainly level plenty of criticism at Pokémon Go: It doesn't have one-on-one battles outside of gyms nor proper trading; it's buggy and it crashes a lot, and it's ultimately a bit of a grind. But the basic core of Pokémon Go is so compelling that you can almost forgive its various sins. I can't remember the last time I had this much goofy fun with a given game. Pokémon Go works for the same reason that the original Pokémon Red and Blue worked - collecting things is fun. But if that were it, Pokémon's formula would have been replicated a long time ago. Pokémon's impressive staying power is owed in large part to its compelling stable of creatures. Ken Sugimori's designs are just as memorable as ever, and at this point, enough people have grown up with them that they evoke the same sense of nostalgia as Star Wars. Fans lament that Niantic just slapped Pokémon on Ingress and called it a day, but that's underselling the impact of Game Freak's iconic creatures. With all due respect to Niantic, the Pokémon are the stars of the show here. Of course, Pokémon Go is missing one important aspect of the original games, and that's the mechanical complexity. True, the rock-paper-scissors component of type advantage is still important, but that's about it. EVs, IVs, traits, and personalities are non-existent, and monsters only have two moves instead of the usual four. This simplification makes Pokémon Go considerably more accessible, but at the expense of the depth that has long served as the foundation of the Pokémon community. 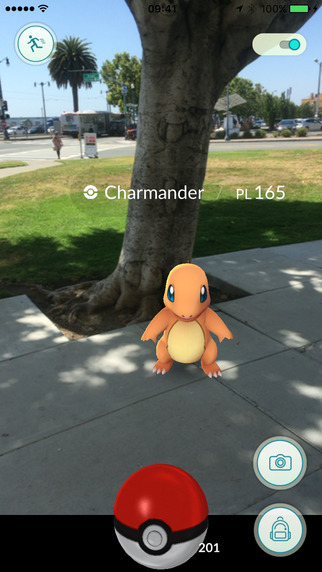 In that respect, it's easy to wonder if Pokémon Go will ultimately be a short-lived fad. My instinct is that will be pretty much exactly what happens. There's just not enough there to keep playing; and once the novelty of catching monsters and leveling them up wears off, a huge part of Pokémon Go's playerbase will move on. Right now, the best thing it has going for it is that the individual act of catching a Pokémon is really fun and satisfying. When a rare monster pops up on your screen, you almost have to stop and grab it, your primary motivation being to catch 'em all. In that respect, Pokémon Go is faithful to the core of the original game. The social aspect of Pokémon Go also shouldn't be underrated. The original game was special because it got people talking, trading, and comparing monsters. Pokémon Go, for its part, creates new social centers, drawing people out of their homes and to PokéStops for the shared purpose of catching monsters. It's been truly remarkable to stroll down the street here in San Francisco and see packs of people talking about the ubiquity of Zubats, congregating around PokéStops with lures, and tackling gyms. It's also made me see my city differently. 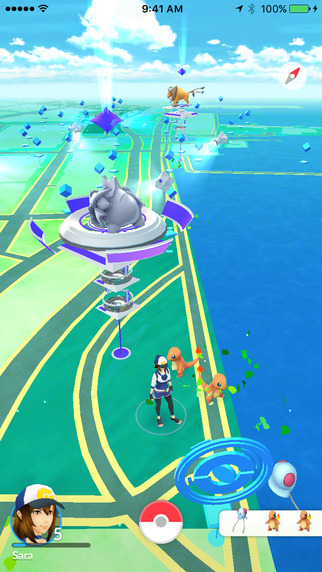 Now the Ferry Building isn't just a tourist spot - it's owned by a Gyarados. 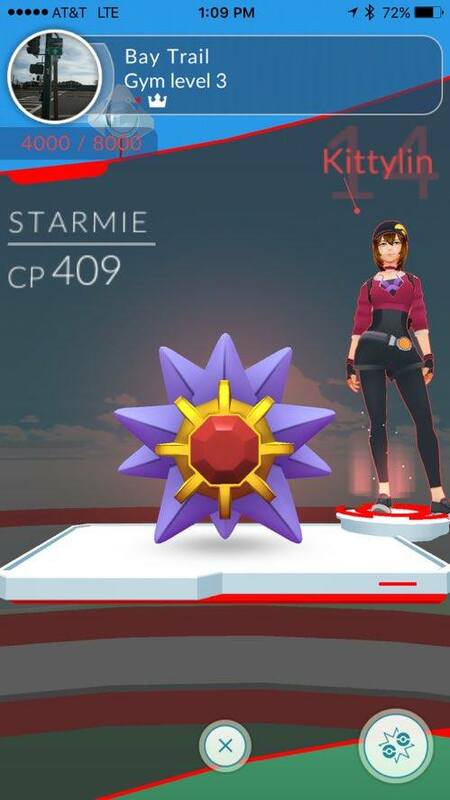 The White House had a Pidgey named 'Murica guarding it. 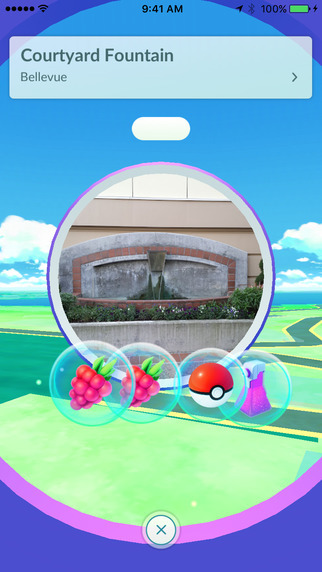 The Dragonfly sculpture near my house will yield Pokéballs and incense. If this is truly the essence of Augmented Reality, then it's already far more compelling than VR in that it has already shown me a totally new way to experience games. 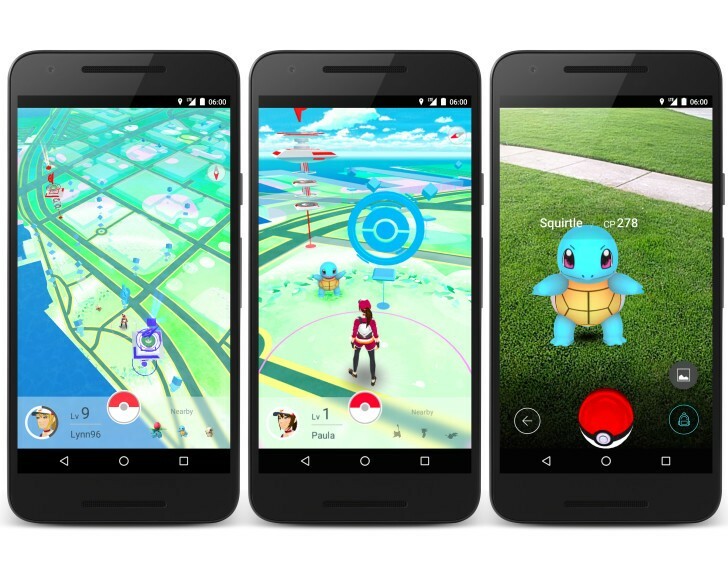 And this is just Pokémon Go, which will almost certainly feel hilariously dated in a few years. This is all to say that, regardless of the game's individual merits, Niantic is really on to something with Pokémon Go. It has altered my perception of what games can, and all for the low cost of absolutely nothing (thankfully, the microtransactions aren't too onerous... yet). I doubt that it will last much beyond the fall as the novelty fades, kids go back to school, and its lack of depth is laid bare. But in the here and now, Pokémon Go is a real delight. I can't recommend it enough. Pokémon Go is slim on the gameplay and the app itself has severe issues that need to be fixed, but the experience of getting out there and playing the game is great. Pokémon Go and the general love of Pokémon is giving people a chance to connect with each other and have fun. It has issues, but Pokémon Go is still worth the hunt. Tagged with Android Devices,	iPhones,	multiplayer,	Niantic,	Nintendo,	Party,	Pokemon,	Pokemon 20th Anniversary,	Reviews,	The Pokemon Company.